What do you do when your child hits a wall? If your children are anything like mine, you’ve probably had periods of time when one of them becomes frustrated with a particular subject and has a hard time learning anything else in that area. I remember when my youngest son was struggling with reading. His older brother was reading The Chronicles of Narnia in Second Grade; so, I was completely unprepared when this son didn’t take to reading right away. He was stuck on Amelia Bedelia and Mr. Putter and Tabby level books for way longer than I ever dreamed he would be. It takes each child differing amounts of time to master a subject. When things are going along smoothly and all of a sudden your child balks, like they’re hitting a wall, what is the best way to proceed? Getting frustrated with your child will only increase the frustration that they are already feeling. Try to remain calm as you explain things and be encouraging. My son who struggled with reading is now a voracious reader. He has a love for reading that I might have destroyed if I had pushed him to read at a higher level than what he could handle at the time. We need to remember that grade levels are artificial constructs created by administrators in modern school systems and let our children move forward as quickly or as slowly as is best for them. The fact that your child is struggling is not a reflection on you or on any failure you have as a teacher. Keep in mind, however, that you may need to change your teaching methods or curriculum for your child to be able to relate to it better. Don’t feel like you’re wasting money if you switch to new material. You can always sell your unwanted items on eBay! Sometimes, just getting your husband or a grandparent to explain a topic to your child is enough. It gives them a chance to hear instructions in a slightly different way. If your child is really struggling, you may need to hire a professional tutor who can better explain things to your child. This is especially true if the topic with which your child struggles is one that is also a difficult one for you. With upper math, we switched to a program where someone else is doing the teaching and that has made such a difference for my boys. I’ve found that when my boys hit a wall, it is very beneficial to go backward to material that is easy for them. This helps to build their confidence tremendously. After a few days or weeks of doing the easier work, try the harder material again and see how they do. Often times, they will be able to crash right through that pesky wall and continue moving forward. Schools expect students to learn the same material at the same rate. One of the advantages that homeschoolers have is that we can give our children the freedom to learn at their own pace. If we allow our children to learn things when they are ready rather than pushing them to learn before they are ready, then they will catch up and go well beyond where they would have gone if we had pushed them faster than they are comfortable. Another thing to keep in mind is that all kids have strengths and weaknesses. They were not created out of cookie cutter molds, as much as schools would like that think that they are. They will not all master every subject to the same degree. Some of our children will go on to become great mathematicians. Some of them will be brilliant scientists. Still others will write beautiful poetry and literature. Watch your children to see where they excel and feed their passions. Yes, all students need at least some mastery of reading, writing, and arithmetic; however, not all students have the desire or the ability to master calculus. Watch your children to determine how they are wired, what they are interested in, what methods of learning appeal to them, what time of day they learn best, etc. As homeschoolers, we have so much flexibility to teach our children in a manner that will be best for their individual needs. Let’s take advantage of that flexibility and rearrange our homeschools to cater to the unique children that God has entrusted to our care. Question: Have your children had the experience of hitting a wall? What were you able to do to successfully get them past it? Please leave a comment below. Great article and great advice, I did very similar things with both my kids now 15 years and 17 years. One was a early reader and the other started reading way late! Good advice for beginner parents. I needed this reminder today, thanks you. We hit the wall with reading with my 7 year old son, so we are going back to easier books, and 100 lessons. 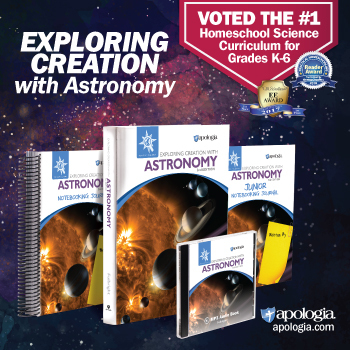 I even looked at getting a box curiculum, but wise lady at christian homeschool store told me to save my money and give him time. I read to my son when at times he didn’t want to read himself. I would start with reading, and when he seemed interested, I would say a word wrong or not be able to figure it out. I’d asked for his help. He was still listening. He would then take the book and soon he would be reading out loud on his own. He is 13 now, and while he doesn’t read as much as I’d like, he still finds interest in it. As long as that doesn’t go away, I am hopeful that we’ve instill a love for learning in him. Good luck!